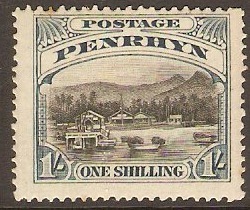 Penrhyn Island 1902 2½d Blue. SG1. 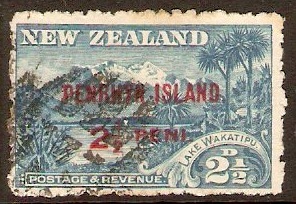 Used 1902 2½d Blue. SG1. Heavy mounted mint 1902 2½d Blue. SG1. 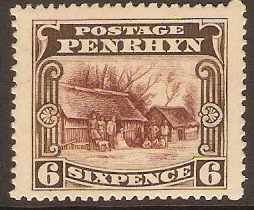 Penrhyn Island 1978 50c Official Overprint Stamps. SGO13-SGO15. Fine used 1978 50c Official Overprint Stamps. SGO13-SGO15. 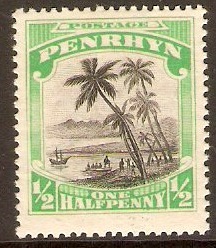 Penrhyn Island 1920 ½d Black and emerald. SG32. Mounted mint 1920 ½d Black and emerald. SG32. 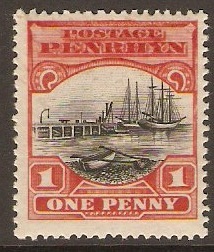 Penrhyn Island 1920 1d Black and deep red. SG33. Mounted mint 1920 1d Black and deep red. SG33. 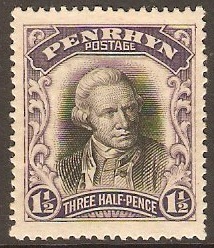 Penrhyn Island 1920 1½d Black and deep violet. SG34. Mounted mint 1920 1½d Black and deep violet. SG34. 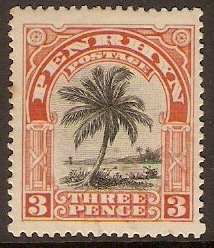 Penrhyn Island 1920 3d Black and red. SG35. Mounted mint 1920 3d Black and red. SG35. Penrhyn Island 1920 6d Red-brown and sepia. SG36. Mounted mint 1920 6d Red-brown and sepia. SG36. Penrhyn Island 1920 1s Black and slate-blue. SG37. 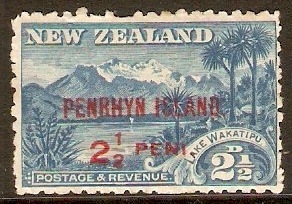 Mounted mint 1920 1s Black and slate-blue. SG37. Penrhyn Island 1973 Royal Wedding Set. SG53-SG55. Unmounted mint 1973 Royal Wedding Set. SG53-SG55.